One of the predominant components of digital transformation is the evolution of the workplace. It is a simple fact that for many developed and developing nations, workplaces are being influenced, sometimes dramatically, by emerging technologies the likes of IoT. The connected workplace and a secure network are pivotal to this shift, and thus workplace transformation was a key topic of the recent Aruba Atmosphere 2018 conference, held in Croatia. Janice Le, the vice president of global marketing, at Aruba (a Hewlett Packard Enterprise company), began by pointing out that business and IT leaders have been pondering what work may look like in the future for more than a decade. Both agree on one thing - work and the workplace, certainly are changing now. From Aruba’s perspective, she reported that millenials, the Internet of Things (IoT), teleworking, artificial intelligence (AI), robotics as well as the gig economy, are all part and parcel of that future. It is not difficult to see therefore, that technology and its incorporation, is an inseparable part of the mix. But it is not just the use of technology for its own sake. Le stressed that one of the promises of embracing the digital workplace, is that doing so will drive greater productivity, while making employees more engaged, competitive and effective. The end result for the organisation? A stronger workforce. While the process of workplace transformation may differ from one IT company to the next, usually depending on the service or product they offer, thankfully there is a more consistent definition of what a digital workplace actually entails. According to Gartner, it is a type of space that enables more employee engagement and productivity by bringing in new technologies and creating consumer-like experiences. Deloitte - which Aruba works with - has a bit more specific explanation, noting that a digital workspace incorporates IT solutions, building systems and furnishings, all interacting harmoniously with one another. The company elaborated that this, more commonly referred to as a Smart Digital Workplace, would incorporate human centred design alongside IoT and building automation. Think, for example, rooms which light up or power down depending on when employees enter or exit them. In a similar fashion Wi-Fi connectivity may be available in peak hours, and automatically decrease their coverage after hours, when fewer people are around. 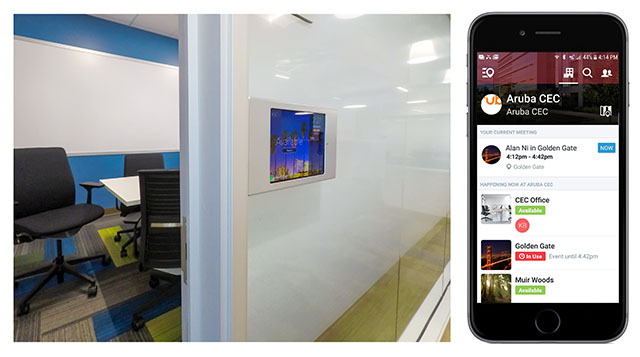 In a smart digital workplace, lighting and office resources can automatically turn on and off according to how many people are in the office at a particular time. 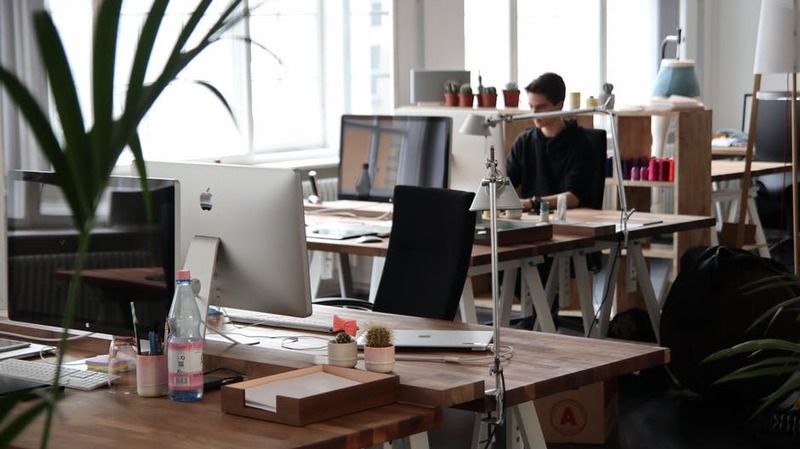 “The very nature of the term ‘workplace’ is being transformed, as companies begin to realise that effective space is experience-centric, and must accommodate work styles spanning generations and personality types,” added Francisco Acoba, managing director for Deloitte. He added that regardless of an enterprise’s specific situation, when spaces become active participants in the user experience, it benefits the bottom line. “After all, workers who feel comfortable in a space get their tasks done. Those who don’t will eventually move on to a more inviting option,” he added. Le noted that, interestingly while Bring Your Own Device (BYOD) saw employees endeavour to bring their consumer device into an enterprise’s network, spurring on the consumerisation of IT, workplace transformation is being driven by workers aiming to integrate their consumer behaviours and expectations into the workplace. For example, being able to work where and how they desire, having constant and stable Wi-Fi connectivity wherever they go in their working environment and enjoying access to modern technology that works effortlessly are expected by default. Future now, or future later? The questions that often arises when discussing the future of work are, how far away is this envisioned future? It is two years out, or 10? And to what extent is the world moving in that direction already? To glean answers to those questions, Le enthused that the company had conducted a survey of 7000 employees around the world representing more than 5000 organisations, most of which were enterprises. In a nutshell, it found that a vast majority (69%) believe that the digital workplace is already happening, with their employer presently investing in enabling them to have a digital experience at work. 24% of the same respondents, in fact, reported that they see visible usage of IoT, through the likes of card readers and connected vending machines, for example. The really interesting statistic from the study was around the impact of a digital workspace on productivity - 73% of the respondents to the study who did so reported high levels of productivity, being more fully engaged in their jobs and more satisfied (and thus less likely to leave). The latter may be a hidden expense, but having a high turnover of staff who leave because they are bored, dissatisfied or disengaged certainly comes at a cost to the company. 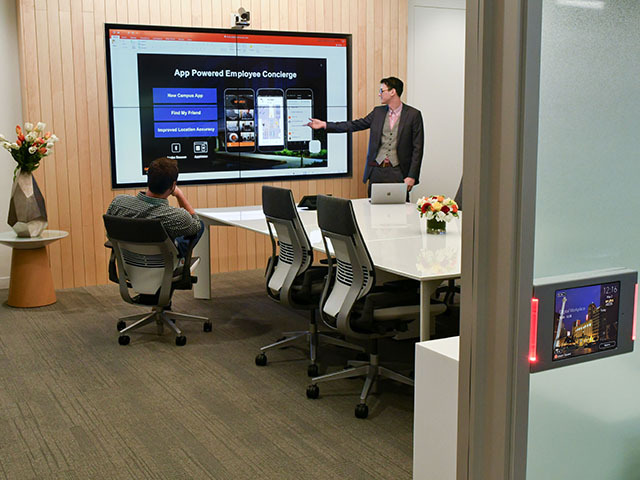 In a digital workplace, meeting rooms could inform users whether they are occuied or in use via their mobile device. While all of this sounds wonderful - and the report suggests that it is, what’s holding digital workplace adoption back? After all, if it offers productivity gains, happier employees, smoother collaboration, talent retention, why haven’t all companies already adopted it or is at least on the path to doing so? Well, there are several reasons, but one that cannot be ignored is the security risk. Aruba’s report bears out this is a legitimate concern. Although employees reported higher levels of cybersecurity awareness (52% think about security often or daily), they also admitted to taking more risks with company data and devices, with 70% admitting to risky behaviors such as sharing passwords and devices. The report also found that a quarter (25%) of employees have connected to potentially unsafe open Wi-Fi in the past twelve months, 20% said they use the same password across multiple applications and accounts, and 17% admitted to writing down passwords in order to remember them. Disturbing as this may be, it doesn’t mean the digital workplace should not be incorporated into an organisation’s broader digital transformation strategy. 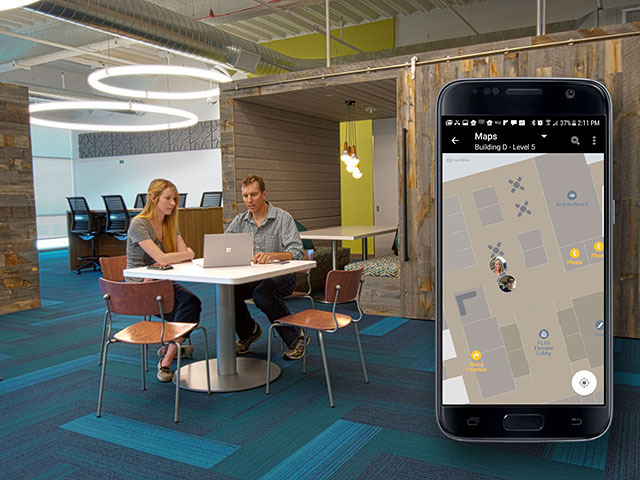 According to Aruba, it does mean that companies should architect the digital workplace with security as an integral part of the design, taking into account the role of human error as well as bad actors. To achieve optimum security that can adapt to change and unknowns, the company further advised that IT look to emerging technologies in networking, cloud computing, AI and machine-learning. This would go a long way to addressing the kind of scenario where employees are gifted an Apple Watch for Christmas, connect it to their home network, and potentially pick up a virus, and then bring it into the enterprise network come the start of January. Even so, the promise of a digital workplace, and its very real benefits should not be ignored. More so, judging by the way the world is moving, it simply cannot be ignored either.